The brain can heal the body: that's the remarkable truth behind the body's placebo response. As one of the nation's foremost authorities on the mysterious connection between mind and body, Dr. Howard Brody introduces a radical new understanding of this phenomenon -- and how it can be used to foster good health. The body, says Brody, has an "inner pharmacy" that the brain taps into, according to what we anticipate, how we are conditioned by experience, and how we interpret events. Consider the following:In one study, people with allergies showed no response when exposed to the irritant, when they were first convinced it was something. Sham surgery has sometimes produced lasting results, indistinguishable from the results of real operations.Patients recover faster from surgery when they have window views of trees or grass, rather than brick walls. 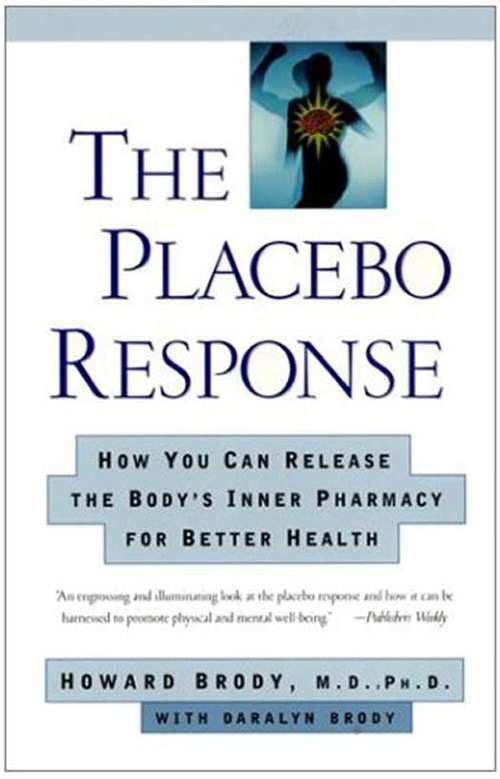 But the placebo response is more than an astonishing medical fact -- it can be put to practical use. The Placebo Response gives you access to a new kind of alternative medicine, one proven by science and found within your own body.